May | 2010 | Renowrites blog! I’m just like any writer. I want to write a book and have it published. I want readers to like it. This inner desire to be accepted by the literary world also makes me paranoid that my writing isn’t up to par. It seems that anything I write doesn’t seem good enough, so I keep working in the cave hoping I can get it right. I recently attended a writing workshop presented by Beth Barany, an author and creative coach for authors. She had so much bubbly enthusiasm, you had to be dead not to feel the contagious energy. I wanted to thank her for a great presentation and opening my eyes to some of the possibilities for the debut author. I also had the privilege of meeting Patricia Simpson, an award-winning author of paranormal romance. Thank you Patricia for your words of wisdom! 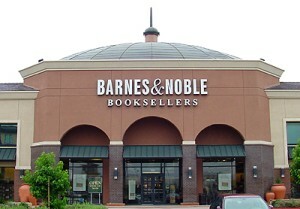 So I just read the news about B&N offering self-publishing services starting this summer. It’s actually digital self-publishing specifically targeted towards The Nook e-reader. As the self-publishing market continues to expand, it makes me wonder where publishing will be five short years from now. The last couple months I’ve been heavily entrenched in the writing of my second manuscript. Just when I’m happy with how a chapter is written, I come back the next day and find twenty other things I don’t like about it. I’ve been able to keep to my goal of 5000 words a day for three days out of the week, and not feeling like I’m sacrificing my time with my wife and kids. My son is loving t-ball and my girls are balleting and artworking their way to the next level (yes, I know balleting and artworking aren’t words). I truly feel blessed to have my family to balance my goals of being a writer. Otherwise, I think I would be going mad in the cave behind a computer screen trying to get past writer’s block. After I play with the kids and we get them down for the night, it’s like my engine is revved up to write – and I know I owe it all to the energy of my kids. But that’s also another reason I stick to my three days a week rule – the other four nights I fall asleep exhausted! So I was over at the Apple store at Stoneridge Mall when the iPad was first released. My mission? To check out the ibooks store. I ended up reading Twilight again in the Apple store and I have to say I really love the ibook platform. If the iPad only had the ibook application, it would be worth it, but it has so much more. Apple is so smart to make it a multipurpose device. Yes, it’s a big iphone. But it has the ibooks store! So worth it. And Google just announced they are getting into ebooks. Makes me wonder where publishing will be in two years. So much has changed in just one. I love baseball. So much in fact, I have a baseball blog at http://reno1107.mlblogs.com. Shameless plug I know, but still. I love the sport and I have since I was a fetus. My team of choice is the Atlanta Braves. I blame it on WTBS. So I blame baseball for my hiatus from my writer’s blog. I know baseball won’t mind. The sport knows it’s true. I pledge to keep this blog updated from this day forward. It’ll be fun if I’m able to keep this pledge. Great news: I received positive reviews from The Amazon Breakthrough Novel Contest. I’m just not sure if it means I’m moving forward in the contest. There are just so many talented writers out there. Veritas! It will come out soon.